Enter your email address below to receive a notification when Mom Time Delivered starts accepting new sign-ups! Enter your email address below to receive a notification when Mom Time Delivered is accepting new sign-ups again. 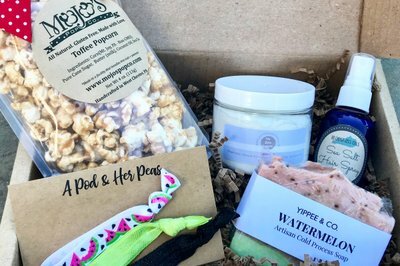 We are currently selling boxes for May delivery, "The Mother's Day" box will ship in time to arrive before Mother's Day! Even SUPERMOMS need some TLC! You work, do laundry, feed family, attend recitals, clean, play chauffeur and so much more. 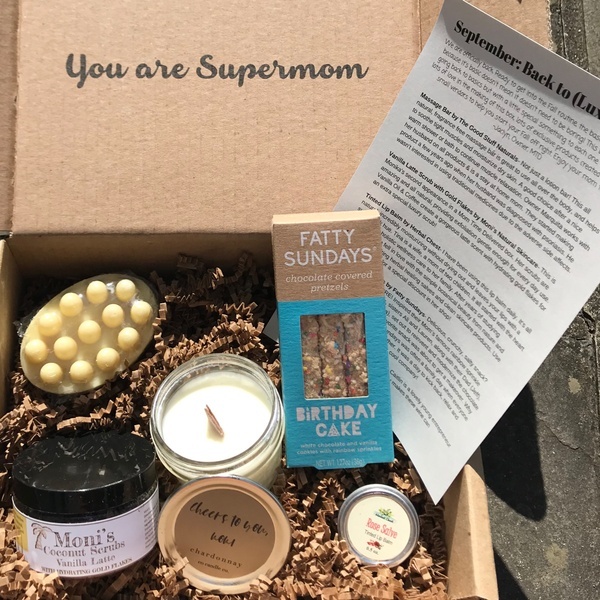 Give yourself or the supermom in your life the gift of monthly hand-picked goodies designed to take care of the mind, body and soul. 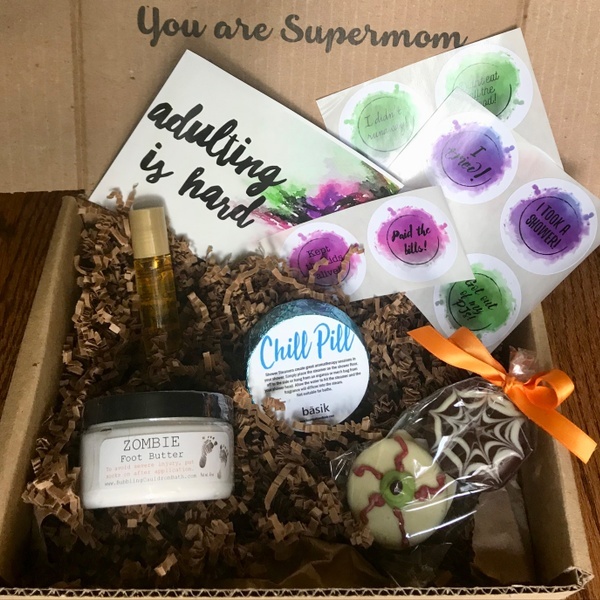 Mom Time Delivered gives you back your "me" time...one box at a time! Option to subscribe monthly or give a 1 time gift. The perfect gift for a hard working mom! 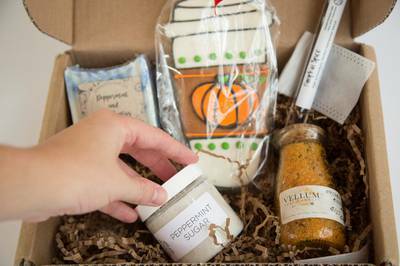 Items include all natural spa items, artisanal treats, and hand curated gifts! We exclusively support small businesses and businesses owned and operated by fellow Moms! Available as a 1, 3 or 6 month, non renewing gift or as a monthly renewing subscription. I bought a 3-month subscription for my wife during the 2018 holiday season. Two have arrived thus far and she has been underwhelmed each time. Both times she mentioned that the value of the box seemed less than what I paid for it. The samples were either too small or something that she has no interest in using. Understandably, by their very nature, "crates" are a bit of a crapshoot if the end user is going to like the contents or not, but in this case...it didn't work out well. 'So glad you enjoyed your box! These kind of reviews make our day!" As many other moms, I am a very busy one! I barely have time to shop for groceries, let alone shop for beauty items. This is a perfect way to treat myself to wonderful products, for a great price. I have loved everything that has come so far in my Mom Time Delivered boxes and I'm looking forward to my next box! I am celebrating 1 year of purchasing Mom Time Delivered boxes this month and couldn’t be more excited about the year ahead!! 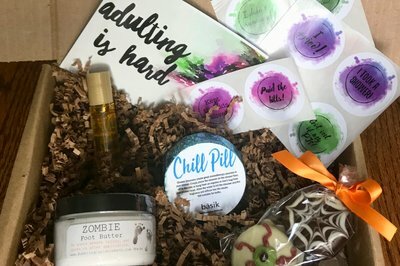 I buy Mom Time Delivered boxes in person as the seller is local to me, but I love it so much I felt compelled to come here and write a review. 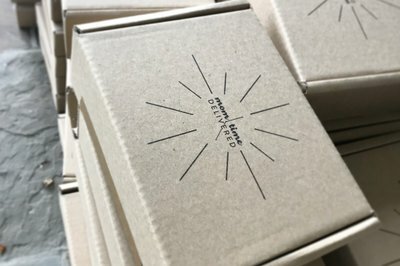 These boxes are SO unique and every product is special and useful. 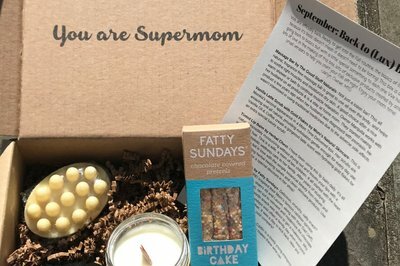 I treat myself most months to a box and I have gifted her regular box as a “pick me up” for friends having a rough month, gave my kids the awesome Bath Time Delivered box, sent the post partum box to a new mom friend and gave my husband the Dad Time Delivered special box for Father’s Day. Every single item in this box is obviously carefully selected. The items are all from small, primarily women-owned shops. 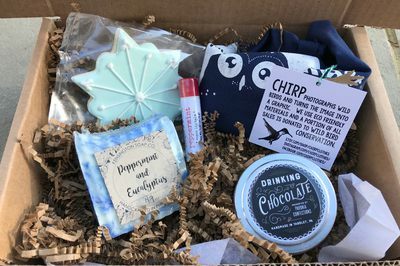 I have actually become a customer of some of these vendors because I loved the items in my box so much. I never would have found them otherwise-get this and treat yourself or a friend! I've subscribed to this box, and honestly, it's a pretty sweet deal. For the price, you get a great taste of great little finds and items I would have never been able to find for myself. Each month has a unique theme and again for the price you are giving yourself a little love. It's worth it! We are literally obsessed with all of our Mom Time Boxes!!!!! The bath time box has been a serious favorite of my son. And now we use them as gifts for bday parties!!!! Great as a gift! Or yourself! 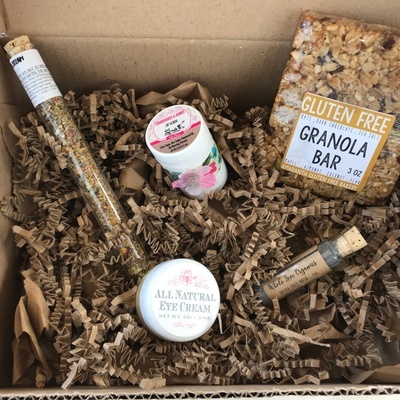 My best friend and I often gift subscription boxes to eachother- this was her favorite! We both agree that lots of other boxes have ‘filler’ products to make boxes look full and we just end up throwing them out or they sit in a drawer for months. Every item was used up in its entirety! 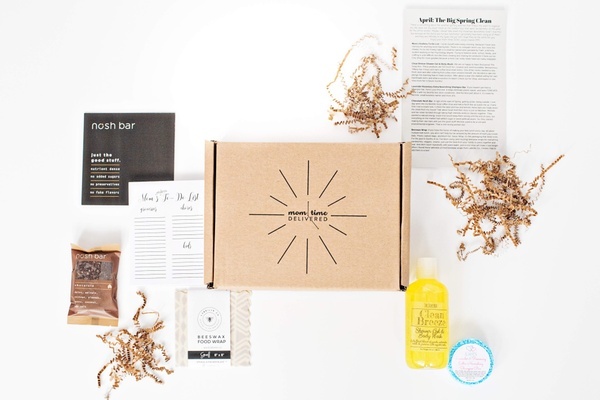 We loved that the box supported small businesses (lots women-owned). We’ve both bought brands we discovered from the box as gifts for others too because they are quality, fun products! I loved that I was able to gift 3 months and not have to worry about an automatic renewal. Can’t wait to get or gift another box!